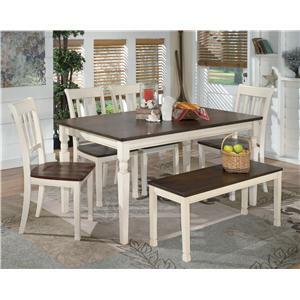 Two breadboard style end leaves extend this table to 88 inches long, with room to seat eight diners. 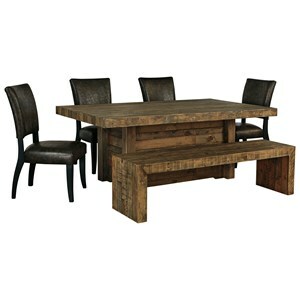 The table top has a rustic feel with a plank-look that complements the mortise look at the base of the table. Neutral fabric covers the upholstered seats, while antique finish nailhead trim provides a great look to upholstered bench and counter stools with an X-back design. 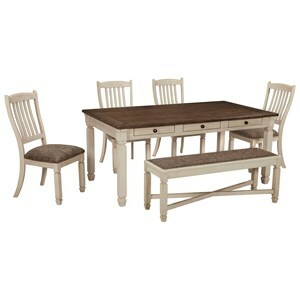 A distressed nutmeg finish over rubberwood solids and acacia veneers contributes to the casual appeal of the pieces. 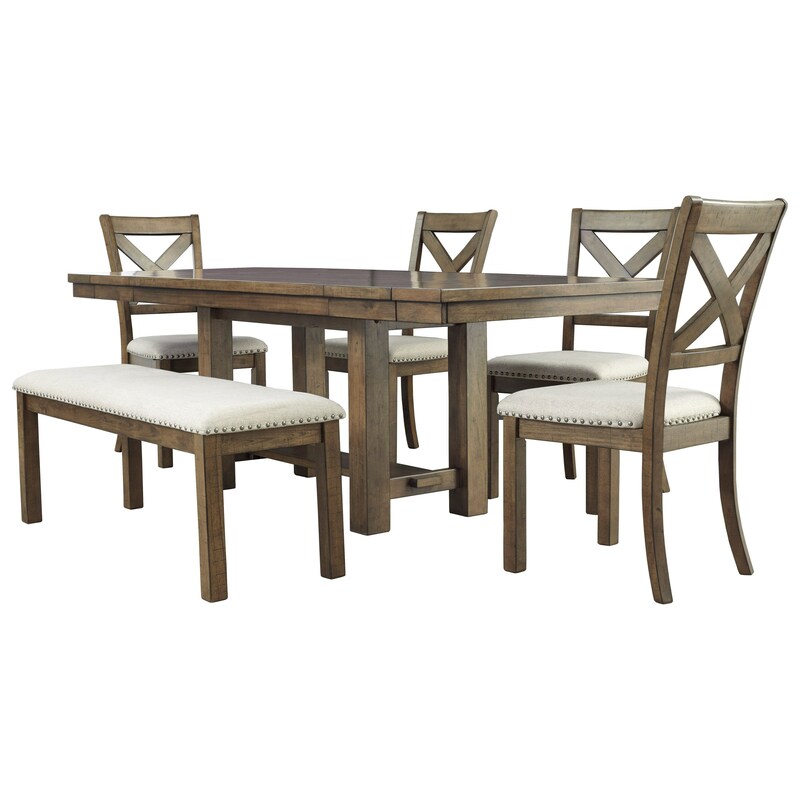 The Moriville 6-Piece Table and Chair Set with Bench by Signature Design by Ashley at Miskelly Furniture in the Jackson, Pearl, Madison, Ridgeland, Flowood Mississippi area. Product availability may vary. Contact us for the most current availability on this product. The Moriville collection is a great option if you are looking for Rustic Casual furniture in the Jackson, Pearl, Madison, Ridgeland, Flowood Mississippi area. 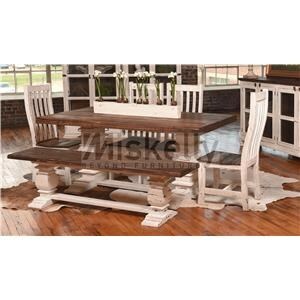 Browse other items in the Moriville collection from Miskelly Furniture in the Jackson, Pearl, Madison, Ridgeland, Flowood Mississippi area.